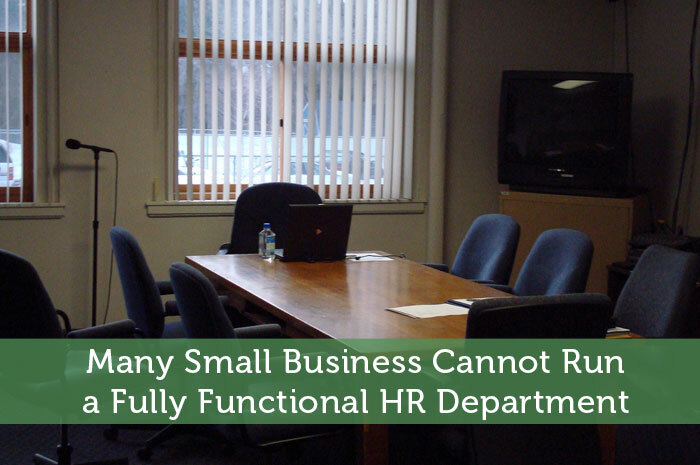 Many small businesses cannot afford to run a fully functional HR department. Instead, they opt to assign the different duties that should be managed by human resources to the various department heads e.g. payroll is managed by the finance team, whereas employee complaints and other internal issues are managed by the respective department heads. However, this shuffling of responsibilities tends to bring problems over time. As such, companies have two options, either setup a full-time in-house HR team or outsource to an outside HR company to handle their human resource function. The complex nature of some of the HR back-office functions may require you to hire specialized staff to handle them. However, hiring and retaining such highly skilled employees might turn out to be too costly for small business. For this reason, outsourcing to a HR company to perform these tasks on an as-needed basis makes the cost more reasonable and consistent for your business. Back-office operations result in increased overhead costs for your small business. Some of these costs include office space, paperwork, equipment costs etc. Outsourcing your HR function enables you to cut down on some of these costs. As your small business grows, the range of back-office operations also expands significantly. At some point, some of these operations such as hiring and training staff may become too tedious. In some cases, they may end up consuming most of your financial and human resources. As such, your small business is likely to suffer due to diversion of resources from core activities. Outsourcing some of the non-core functions – including HR – allows you to focus more on your core business. Outsourcing the HR function enables you to comply with laws and regulations relating to labor and at the same time, allows you still to be able to handle the variety of employee issues directly. These regulations are ever evolving and may require experts in the HR field to keep tabs on new developments. HR companies are usually updated about any new regulations. Hence, you don’t have to worry about your business not complying with any new laws. Outsourcing enables you to handle various tasks that come with cyclic or seasonal demands – as and when they arise. As such, you only get to hire the HR company to provide the additional resources required for every project. When the project is complete, you can release the resources. A good example of a seasonal task that HR professionals are required to do is recruiting. Recruitment involves advertising any vacant positions within the organization, reviewing resumes, and conducting interviews in order to identify the most ideal candidates to fill the vacancies. However, no recruitment takes place if positions don’t fall vacant for prolonged periods. As such, it makes more sense to hire a HR company to handle the recruitment function when positions fall vacant, as opposed to an in-house HR staff that will stay idle for most of the year. Outsourcing provides continuity to your business, especially when you experience high staff turnover. Losing key employees at the same time may impact your small business negatively – operations become uncertain and inconsistent. For instance, what happens if one or two key employees leave the company suddenly and your HR manager is away. Finding new employees to replace them in time and prevent your business from grinding to a halt would not be possible. However, when you outsource your HR function, this risk is reduced. Finding an employee who has a masters in human resource management is a good way to ensure that you have someone who is dedicated to your team. haha very true. Just because a company tries to handle something, it doesn’t mean they do it well.